When scoping or designing a UC cluster that involves Unity Connection there was always an extra core reservation for the VMware scheduler. With VMware 5.5 and the ability to specify latency sensitivity we don’t need to have one core sitting idle. The reason this is important was due to core oversubscription and the co-residency guidelines published by Cisco. For example; if your host has 12 cores you can now safely lay out the VM reservations across all 12 cores and not 11 cores. This only applies if you have an active Unity Connection VM on the host machine. All other VMs on the host must have the latency sensitivity set to “normal”. Only the Unity Connection VMs will be set to “high”. So now you’re wondering how do I cut it on? First it has to be modified while the machine is powered off, and if you have vSphere Web Client it is simple as “VM Options | Advanced settings | Edit | Latency Sensitivity = High”. OK – I see this yellow exlaimation point and what is about to happen? The warning is to let you know this should be performed on a VM that has CPU reservation. If you used the OVA to deploy Unity Connection and have not changed vCPU amounts or reservations you’re in the clear to proceed. 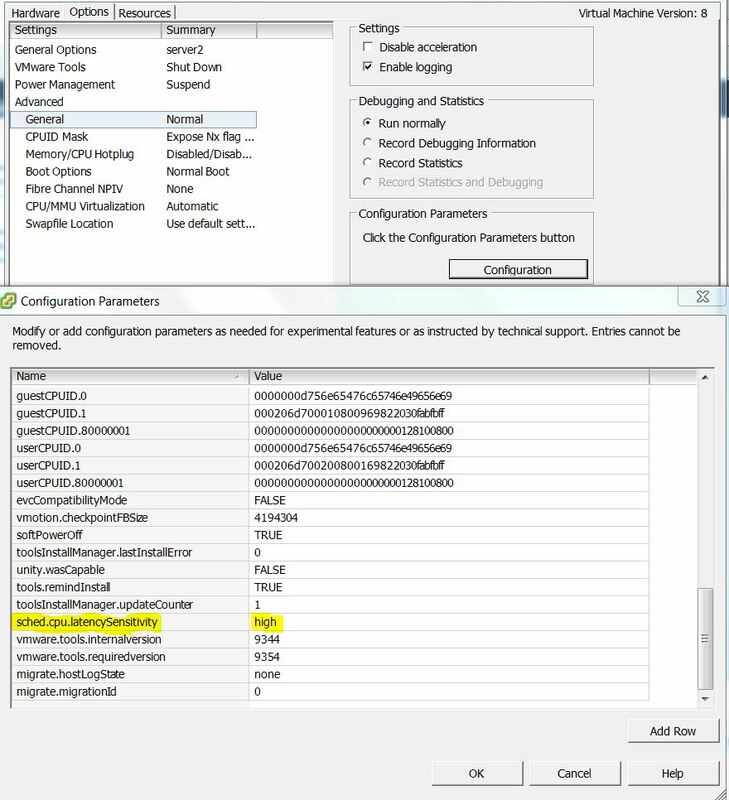 Since most UC clusters and ESXi hosts specific for collaboration are not joined to vSphere you need a way to turn on latency sensitivity without vSphere Web. 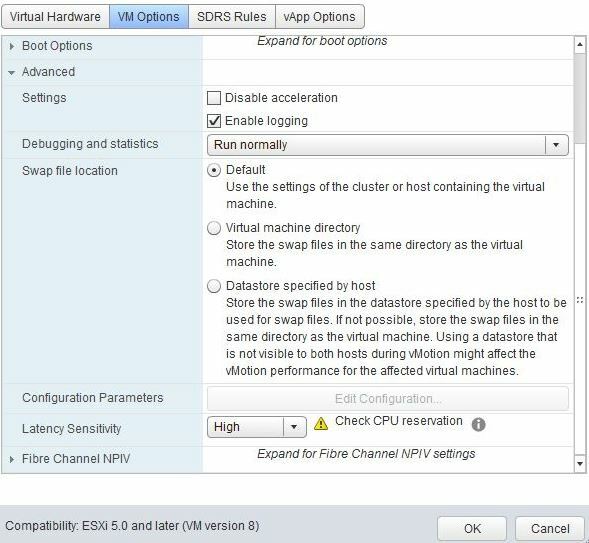 Using the vSphere client edit the settings of the Unity Connection VM. First scan to see if “sched.cpu.latencySensitivity” is in the configuration parameters.